Hereâs a dog lover who found it in his heart to dedicate a few square inches of his skin to having a tribute to his best friend. 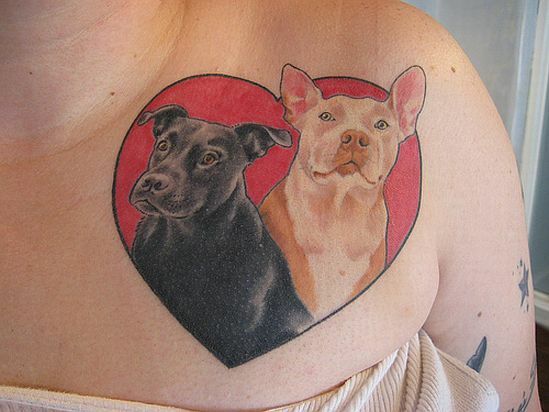 since very few things in the world can beat the devotion, loyalty and love your pet pooch can shower on you after you return home form a hard day at work, we give a tonne of points to this very cool dog lover tattoo. And if this dude does not eat, wear or harm animals, weâd gladly recommend him for the PETA Animal Lover of the Year award or something!